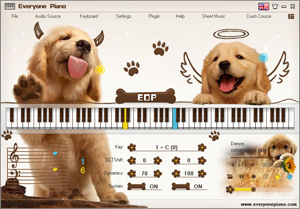 Release EOP Blank Sheet Music V1.0.5.7. 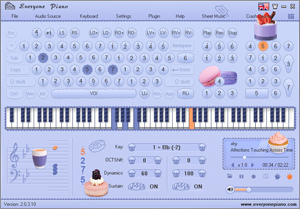 · Release EOP Blank Sheet Music V1.0.5.7. EOP Blank Sheet Music is primarily used for customizing the sheet music style and printing it online, which offers an easy access for music lovers to print black sheet music, thereby simplifying the preparatory work for the compose. • Output pictures or print directly. Note: Please install flash player plug-in for the browser if the application is unable to load. 2. “Output” or “Print” the self-defined sheet music. All sheets in our site can download eop file, you can enter to the page for each sheet and click the EOP Download button to donwload the eop file fot this sheet. If you are using "IE", please install the "flash player" plugin for "IE". My friends, how to download this software ??? Please search IE flash player on Google and find on to install. That's ok, you mean you wan to use EOP Blank Sheet Music? You can search IE flash player on Google and find on to install.